At an emergency session of the OAS taking place at this moment, the Honduran representative Carlos Sosa compared the coup to Chile in 1973, noted that Zelaya has not requested asylum in Costa Rica as reported by some press, and called for immediate condemnation of the coup. He invoked Art. 20 and 21 of the Inter-American Democratic Charter, noting "we can no longer continue to use the diplomatic language we used last Friday. Honduras requests to solidarity of all of you in an emphatic condemnation of this coup d'etat. He noted that the government has received statements of solidarity from all the countries and in contrast with the past no government has participated in the coup. The Venezuela representative stated, "I wonder if we wasted time last Friday, debating if this were a coup or a problem of separation of powers... I think we failed, we did not issue a condemnation, we did not include the name of President Zelaya although we had reason to do so. Why didn't we pronounce as energetically as we will now do today? "I hope we issue a strong condemnation and a pronouncement in favor of the consultation. This could have implications for the continent." He mentioned that the organization has remianed on the sidelines in other cases--Guatemala, Chile-- and that history is being repeated. He went on to accuse former Bush Sub-Secretary of State Otto Reich of complicity in the coup: "We have information that worries us. These is a person who has been important in the diplomacy of the US who has reconnected with old colleagues and encouraged the coup: Otto Reich, ex sub-Secretary of State under Bush. We know him as an interventionist person... In 2002 he tried to deny the lawfulness of Pres. Hugo Chavez." Mentioning episodes of the dark history of Reich in the heisphere, he concluded, "We suffered the First Reich, the Second Reich, and now we are suffering the Third Reich." He said Reich is operating under an NGO. Nicaragua: "We recognize the legitimate government of Manuel Zelaya... We are witnessing an international crime in Honduras. We energetically condemn these acts of barbarity. The OAS is obliged to energetically condemn immediately these acts. It should demand the immediate reinstatement of President Zelaya... demand the resestablishment of democracy for the people that are only asking to exercise... their sovereign rights." The ambassadors of Cuba, Venezuela and Nicaragua are held captive and the Foreign Minister of Honduras, Patricia Rodas, who just weeks ago presided over one of the finest moments of the OAS when Cuba was re-admittted, as we wrote about in these pages. What a difference those weeks have made. This talented diplomat, who could not control her joy at the consensus achieved in the previous session, is now in the hands of military thugs, along with international diplomats who attempted to protect her. Insulza is offering new information: The Honduras Supreme Court notes that this happened in the context of the national survey on the fourth urn. the court seems to be saying that survey was calling for the Constitutional Assembly and not for a vote in November on calling for the assembly. In sulza says this would still not justify a coup. Tomorrow Insulza will be in Honduras. He requested information on the ambassadors kidnapped and the person from the court says that he did not have this information or any information that anyone had been mistreated but would check into it. 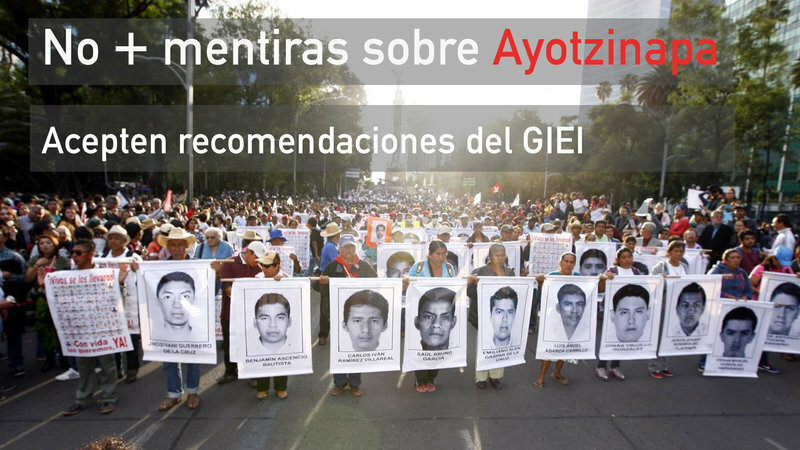 Mexico: Importance to respect human rights. Democracy and respect for the rule of law are values of the nations in this organization. Events in Honduras are an anachronism, part of a past we had thought we had overcome. We condemn the rupture in the constitutional order. In Honduras all measures should be adopted to re-establish the constitutional order... Re-establish the legitimate government of Honduras. Asks the OAS to promote normalization. Rejects violence." NOTE: The Mexican delegate has failed to include support explicitly by mentioning the name of the elected president Manuel Zelaya. Guatemala: will not recognize any other government in Honduras that has not been duly elected... We hope that the Honduran citizenry will face this risk that has come true... Central America has paid a high cost in blood and pain to build a democratic life. As Central Americas we must learn to live under the law...with respect for institutions and the instittuions must be the first to recognize this." free from any outside interference."